Require that the electronic systems employed by HIEs have the capability to sort and segregate medical information in order to comply with guaranteed privacy protections of New York and federal law. Presently, they do not. Offer patients the right to opt-out of the system altogether. Currently, people's records can be uploaded to the system without their consent. Require that patient consent forms offer clear information-sharing options. The forms should give patients three options: to opt-in and allow providers access to their electronic medical records, to opt-out except in the event of a medical emergency, or to opt-out altogether. Prohibit and sanction the misuse of medical information. New York must protect patients from potential bad actors--that small minority of providers who may abuse information out of fear, prejudice or malice. 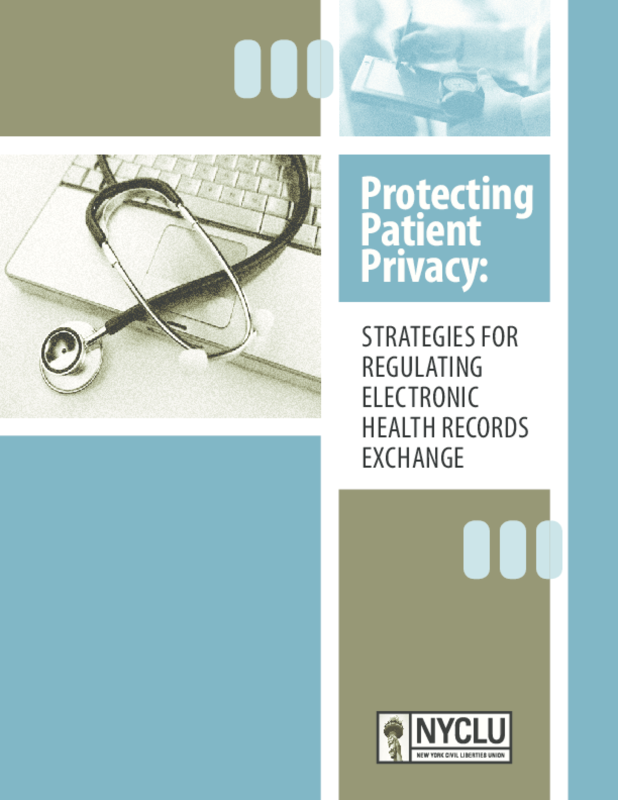 Prohibit the health information-sharing networks from selling data. The State Legislature should pass legislation prohibiting the networks from selling patients' private health information.